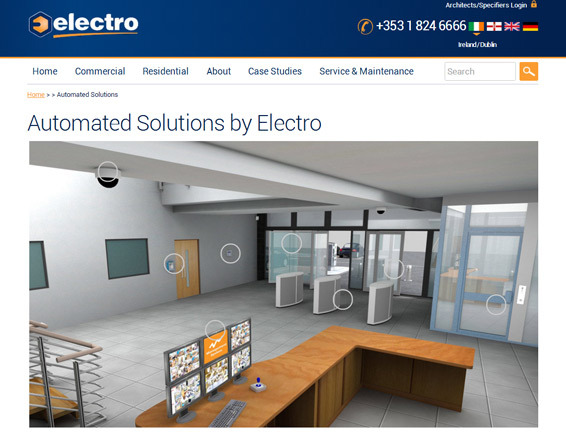 Providing quality equipment and exceptional customer service for their customers since 1984, Electro Automation required a web agency that could deliver high impact, quality web services to the same level. "When you are a large multi-service corporate with international outreach, your website should put a marker in the sand and help reinforce your position as an Industry leader and innovator with existing and new clients. " The Web Design Ireland (WDI) team have been working with Electro Automation since 2007 and continue to be selected as their preferred web development partner. New and intuitive ways to navigate and find products. A contemporary and mobile-friendly responsive design.